Not much to see here folks. 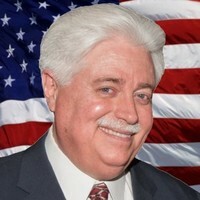 Stan Stanart the Harris County Clerk is the guy who can't seem to do the one job he was assigned, that is to run the elections in the 3rd largest county in the country efficiently. He can't seem to raise money either. In his last report he has raised about $26,000 from 17 individuals, but $17,000 came from just 5 individuals who are out of the county. This includes $5000 from Colorado and another $5000 from Kathleen Wall, the lady who spent $6 Million of her own money in a losing effort to win a seat in Congress.